In this blog post, I will be covering a little bit of it’s origin, benefits, essentials, how to be creative with it and most importantly; how to make it. 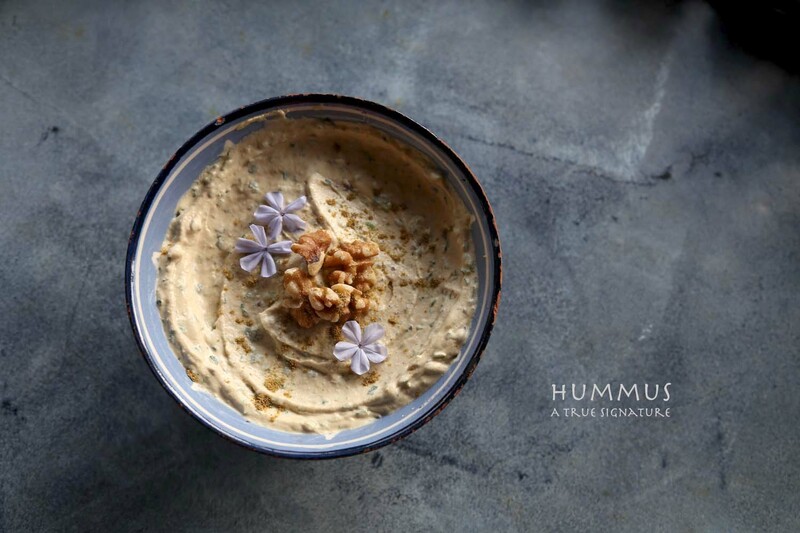 Feel free to add your signature Hummus recipe as a comment on this blog post to share your love for Hummus. 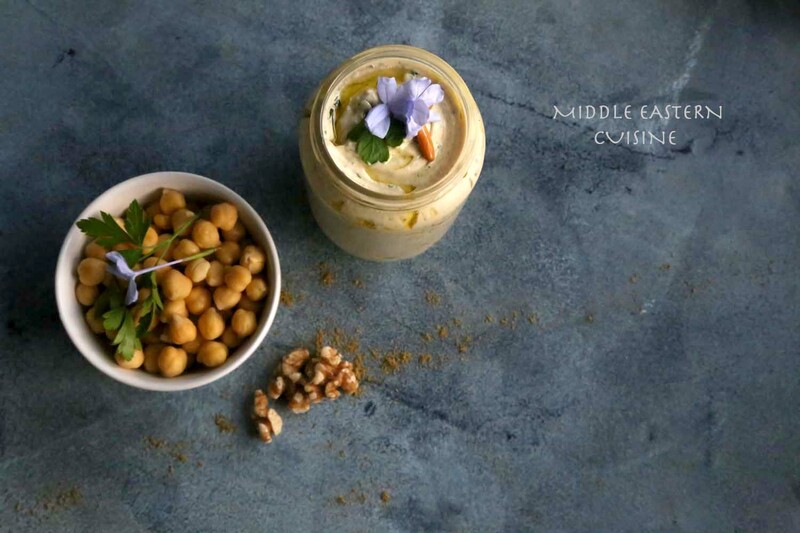 Hummus – حمص in Arabic which means chickpeas; is an ancient dish made and ready in various Middle-Eastern countries like Syria, Egypt, Palestine, Jordan, Lebanon along with Turkey & Morocco. Hummus is considered to be an appetizer “Meze”, a dip, spread, or/and a dressing. Hummus is so ancient that it is considered to be an essential dish to most Middle-Eastern countries. Until today, the oldest Hummus recipe was found in one of the Egyptian books back in the 13th century. Today; Hummus is prepared with its essential ingredients and garnished with the chef’s own signature. To begin with, Hummus is vegetarian [unless meat is added as garnish] and is very high in protein; it is high in iron, vitamin C, boosts your energy, includes folate and vitamin B6. Chickpeas do not contain any cholesterol or saturated fat and can maintain correct blood sugar levels. Hummus is made with Tahini which is mostly made of sesame seed and is very rich in amino acid. Hummus is loved by many, is prepared by many, and is claimed to be a traditional dish to many. 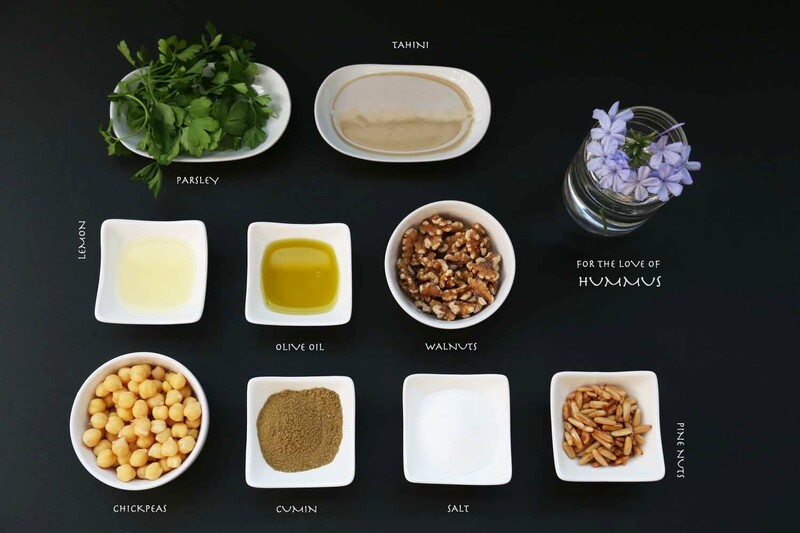 Recipes in households, restaurants, online and in books vary in ingredients and garnish and this is exactly why I love Hummus; for its diversity, for how it makes each and everyone Hummus maker special in his/her own preparation. 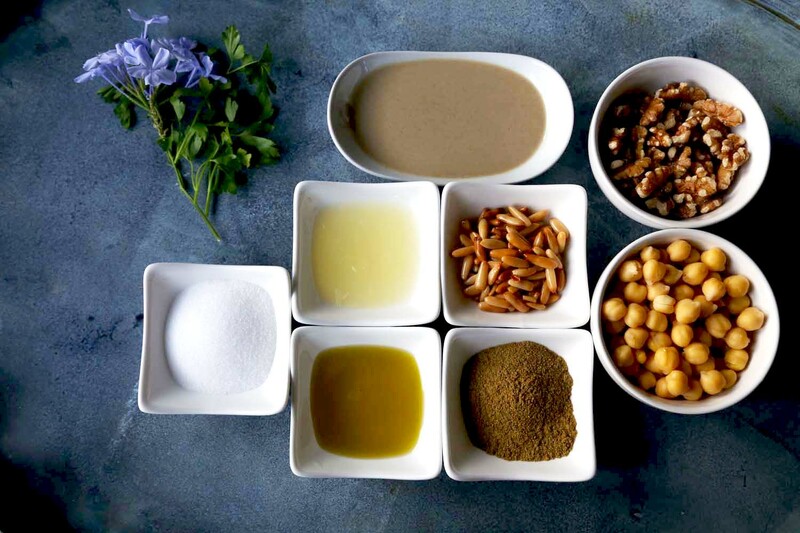 Nonetheless, Hummus does contain essential ingredients which are the basics to making Hummus: chickpeas, tahini, olive oil, lemon, garlic, salt and cumin. I find is art. What you add to it after the basics is up to your taste. Some essential garnish are used in most households like: cumin, parsley, pine-nuts, minced meat, sesame seed, pickles, whole chickpeas, walnut, olive oil, olives, sumac, mint leaves, pomegranate molasses “Dibs Roman” and radish. Put the chickpeas in a large bowl and cover with enough filtered water. Add baking soda to the bowl. Leave the chickpeas to soak over night. Drain the chickpeas and wash.
Add the washed chickpeas into a medium saucepan over medium heat and cover with filtered water. Add salt and stir constantly. This will take from 20-40 minutes. Chickpeas should be soft with the skin peeling once ready. Drain the chickpeas leaving some of its water on the side. Add the chickpeas in a food processor along with garlic, lemon, tahini, cumin, walnuts, and bitter orange to process until you have mashed chickpeas. If the Hummus looked thick add a little bit of the chickpeas water to it and mix again. 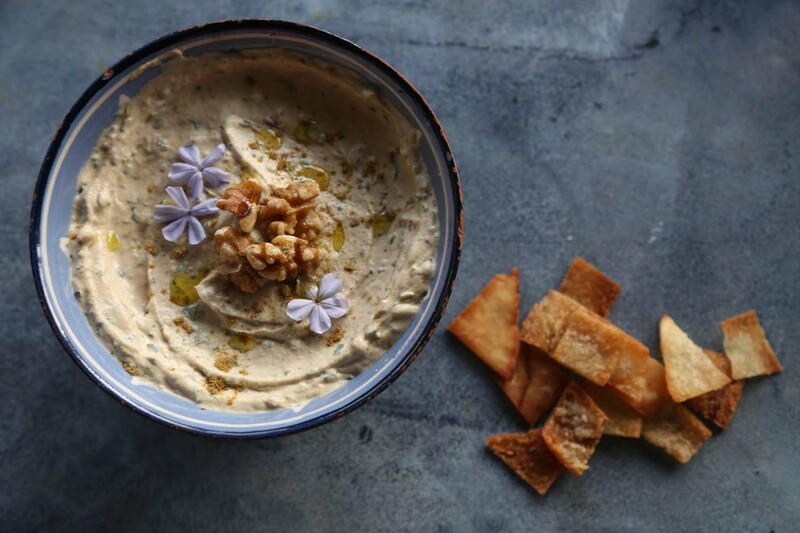 Your Hummus should look smooth and creamy. 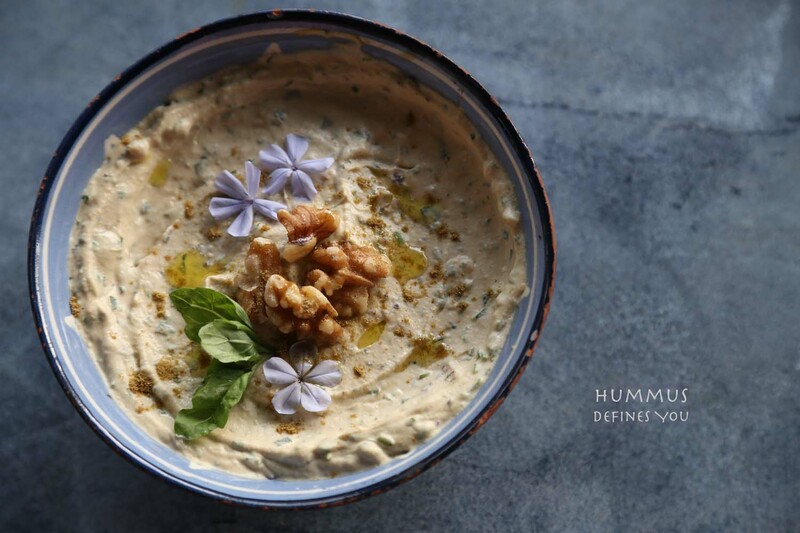 Drizzle the Hummus plate with pine nuts and minced meat. Beautiful photography! I’m so glad I discovered your blog! I’m a Jordanian designer-maker and really find your photo styling AMAZING!